I'm Confused: Do Multivitamins Really Cut Cancer Risk? Taking a daily multivitamin could cut the risk of any type of cancer by 8%, a small but real drop, according to a new study of almost 15,000 men over the age of 50 published this week. No doubt, that's great news for the one in three Americans who pop multivitamins daily. But wait--are you as confused as I am? Not that long ago--2009--another study of more than 160,000 women found that multivitamins had little or no effect on cancer risk. Taking a daily multivitamin could cut the risk of any type of cancer by 8%, a small but real drop, according to a new study of almost 15,000 men over the age of 50 published this week. No doubt, that's great news for the one in three Americans who pop multivitamins daily. But wait--are you as confused as I am? Not that long ago--2009--another study of more than 160,000 women found that multivitamins had little or no effect on cancer risk. And a 2010 Swedish study of 35,000 women found those who took vitamins daily actually had a higher risk of breast cancer than those who didn't. Just like with eggs, butter, and coffee, the scientific information seems to volley back and forth from ‘it’s good for you’ to ‘it’s bad for you’ and back again. At this point many of us can't help but wonder if popping that daily pill is helpful, harmful, or merely a pricey placebo that makes us feel better. But here's what you need to know: Not all studies are created equal. What makes this one different? The men in the study, which was published in the Journal of the American Medical Association, were randomly assigned to one of two groups: One took a daily multivitamin while the other took a placebo pill. Also, this new study lasted 11 years, considerably longer than many previous investigations and long enough to give cancer a chance to develop. So this new research was well designed, but again--no single study is the final word in science. 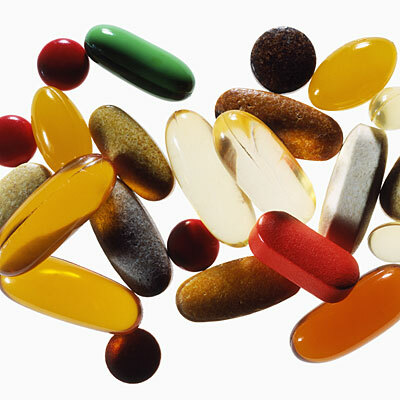 As for vitamin trials that look at supplements with isolated nutrients, they appear to strike out time and time again. A study published earlier this month for example, found that vitamin D supplements were a bust as a cold remedy. And numerous vitamin E supplement studies indicate that it doesn’t decrease the risk of heart disease as researchers had once hoped. It could be that multivitamins, which bundle up many nutrients into one package, do a better job mimicking the way nutrients are naturally found in food. Of course, it probably makes the most sense to stop expecting a pill to fill our nutritional needs. An avalanche of research has found that a healthy diet packed with plenty of fruits and veggies, and a healthy lifestyle in general that includes exercise, is the best way to cut your cancer risk. So if you're one of the 86% of adults who don't eat the recommended number of servings of fruit and vegetables a day (according to the Centers for Disease Control and Prevention, only 14% of people do), get cooking.